With the Christmas holiday looming around the corner, people can't wait mulling over how to spend the festival with families. Undisputedly, the combination of jubilant Christmas Easter season, cold weather, roaring fire, popcorn and hot chocolate makes it best to watch Easter-themed movies. But for christian moviegoers, bible-inspired or faith-based movies can be more to their likings than Christian Easter films. Here we've hand-picked the best Christian movies list not only for kids but also youth that either have overtly Christian character or storyline or showcase religious fervor, and are sure to establish an indelible family tradition during the holiday season. Traditionally, faith-based films were almost always under the radar when they came out, but that's been changing the past few years. Movies with religion as a theme and even often also having Bible-centric messages have been receiving a lot of press especially in recent two years. Synopsis: The journey of a woman scientist who, at the end of times, discovers that true Faith can bring Miracles. Overview: WWII American Army Medic Desmond T. Doss, who served during the Battle of Okinawa, refuses to kill people, and becomes the first man in American history to win the Medal of Honor without firing a shot. For Christians, it's no doubt the 2018 best Christmas movie to watch with family. 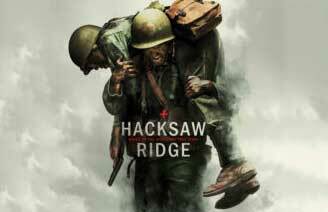 Overview: The film is based on the factual account of a journalistic conquest by former atheist Lee Strobel. What started as a mission to disprove the existence of God after Strobel's wife converts to Christianity became a true to life encounter with Jesus. 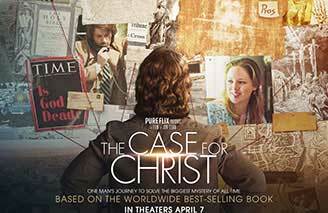 "The Case For Christ" was released on April 7. Besides the latest Christian movies in 2016 2017 worthy your watching, the classic Christian faith-based films over decades also not to miss. From sports movies to fantasy films, there are a great deal of films with Christian themes and religious undertones to enjoy with your family or by yourself. You are able to take advantage of a movie downloader for Mac (or Windows version) to free download Christian movies to PC, Mac, iPhone iPad Android, Apple TV etc. 2. Ben Hur (1959) - It has often been a good way to generate Oscar buzz for directors and stars by showcasing religious fervor and Christian devotion. 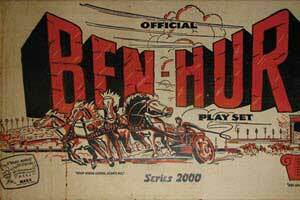 And Ben Hur is just the case, landing at number one on the all-time best Christian film list that swept a record 11 Oscars and holding up under the test of time as a historical epic. The masterpiece, full of action, drama and God's power, tells a story of a Jewish princer's encounters with Jesus Christ and revenge on a Roman friend. 3. The Passion of the Christ (2004) - The second runner-up of the best-class Christian movies list is The Passion of the Christ. The classic film directed by Mel Gibson shall earned more than $600 million worldwide box office and dilivered tghe messages of controversy, the use of Aramaic, shocking gore, and more. This region based film focuses on the re-enactment of the arrest, abuse and crucifixion of Jesus Christ, which lets us fully experience a greater feeling of appreciation and desperation for Jesus. 4. Love Covers All (2014) - Lover Covers All is perhaps one of the most heart-stirring family movie in Christian tone I've ever watched. This is a devoted story centering on authentic characters that wrestle with challenges. This will be a warm Christian love movie for Easter holiday. 5. 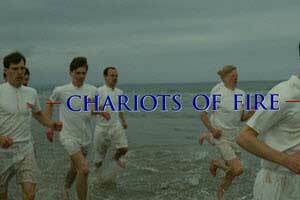 Chariots of Fire (1981) - Based on a true story, Chariots of Fire arrives as the third best Christian movie for Easter, which focuses on two British track athletes, one a determined Jew and the other a devout Christian, compete in the 1924 Olympics. As one of the faith based movies, it was also very successful at the Academy Awards, winning four of seven nominations and it is also the best film made about the Olympics. 6. Holy Ghost (2014) - Holy Ghost is a famous Christian movie released on July 29th, also it is another documentary film. Funded on June 2nd, 2013, it was regarded as the most successfully fundded Christian film on Kickstarter. You may also want to enjoy Easter Worship Songs. 7. 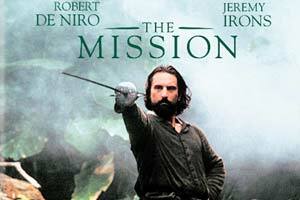 The Mission (1986) - The Mission joins in our top movies list simply because it has an amazing soundtrack, lush cinematography, great acting, and most of all, a deeply moving storyline that depicts the 18th century Spanish Jesuits try to protect a remote American Indian tribe from being conquered by Portugal and forced into slavery. 8. Do You Believe (2015) - More than just a movie to watch on Easter, it's a question anyone must answer in their lifetime: DO YOU BELIEVE? This film, released on days before Easter, depicts a story of a man who is reminded that true belief needs action and finally ignites a journey impacting all peple it touches in ways that only God could orchestrate. 9. 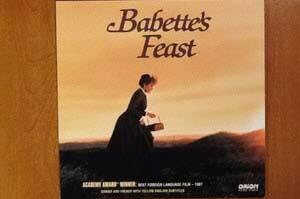 Babette's Feast (1987) - This brilliant Danish film comes with a simple but delicate story about sacrifice and faith that portrays two pious, unmarried sisters taking a political refugee from France into their home. Not only one of the best Christian movies of all time, this explicitly Easter Christian film won the Oscar for best foreign language film, is also on the NO.2 Vatican's list of top religious films. 10. Son of God (2014) - This is one of the high grossing Christian love movies, earned $67 million. Producer Mark Burnett brought the story of Jesus to life in "Son of God," an adaptation of the History Channel miniseries "The Bible." 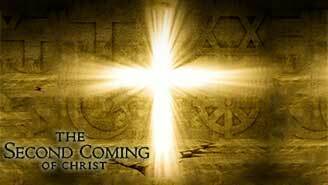 It tells the life story of Jesus from his humble birth through his teachings, crucifixion and ultimate resurrection. Regarding to watching these Christian-based films on Easter & Christmas offline, people may resort to Popcorn Time as it helps to stream copyrighted movies easily or get a download of best Christian comedy movies free from Torrent site. But when it comes to the bandwidth issues, copyright infringement issue as well as no Popcorn Time not working, you may need an alternative way to enjoy these great flicks with Christian tone. And MacX Video Converter Pro comes to save your life, offering the fastest yet best way to download best Christian Easter movies, region-based films, faith centered movies, Bible-inspired movies etc with high quality reserved. No matter the SD videos, 1080P videos, 4K UHD videos or 8K FUHD clips, users can easily download Christian movies to MP4, MOV, AVI, MKV, WMV, etc, which allows you to import the downloaded Christian films and music to iPhone iPad Android. Before you start the Christian movie free download process, make sure that the free movie downloader have been installed on your computer. Step 1: Copy and paste the URL of Christian themed movie to be downloaded. Click "analyze" to load the movie information. Step 2: Choose video format, resolution and file size you want. You can download Christian movies for free in FLV, MP4, WebM formats. Step 4: Click "Download Now" to start the best Christian movies free download process. Besides downloading movies from online, ripping Christan movies is also a popular choice. You may have collected some classic Christan Christmas DVD movies or even find the old Christan movies in the DVD rental shop, so as to rip them for watching or storage. Of course, to finally playing the best Christan movies DVD on iPhone iPad Android, only the Christan movie DVD disk is far from enough. 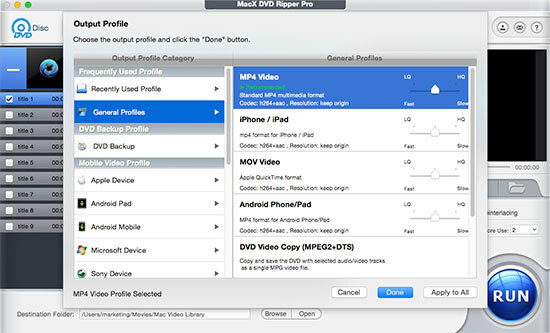 A excellent DVD ripper, MacX DVD Ripper Pro is also in demand. It is powerful enough to convert DVD to MP4, MOV, MKV, AVI etc. and rip copy protected DVD regardless of the DVD encryptions like CSS, region code, RCE, Sony ArccOS, UOPs, Disney X-project protection, etc. It goes without saying the internet is never short of new Christian centered movies. After you've filtered the classic films with Christian tone, you will be unwilling to miss out the new releases DVD of Christans 2015-2017 or some other Jesus Christ blockbusters coming soon in 2017. Stay on the page and let's move to the tablet below. Prior to downloading the best Christan movies downloader on your computer, you need to take a look at the criteria in rating the religous movies that top the list. As we know there are a wealth of Christian-centered movies or Bible-based films scattering on the internet, which are indeed a mixed bag. But the following criteria are illustrated for you to better measure which movie is considered as the best. 1. Basically, the film must be Christian in tone. For instance, the flick will indicate Christian theme, portray Christlike Values, faith-based movies or include a spiritual message or Jesus himself. 2. A christian movie praised the best will be great in production quality, like acting, producing, editing, cinematography, etc. 3. Besides focusing on a Christian-based character, the best Christian films shall be enjoyable and classic, but escape from Christian stereotypes. 4. It is highly recommended to enjoy these best christian movies DVDs with media theatre provided you own a professional DVD ripper for Mac that can copy and convert these films with strong Christian messages or Biblical stories on your computer or mobile devices.